When we moved to Canada in early 2011 Hilda helped us to find our rental condo -close to the schools - that was what we requested. I went to many schools in different districts and Hilda was very patient in accommodating my requirements. We went from Durham, to North York to Mississauga, Richmond Hill.......all over Toronto. Ultimately, she helped me find the condo right next to my son’s school. We kept in touch regularly coz that’s the type of person Hilda is. She continues to be a part of your family and is a fountain of information. Two years later we were ready to buy our property and once again she helped me to identify what I needed and showed me properties that fit my need. She is very intuitive in knowing what one needs even though I may not have known I needed it. She recommended properties that will appreciate in value - as she put it always think from the point of selling even if you don’t intend to sell!!!! She always puts the clients need first, she acts with integrity, is excellent at her job and very trustworthy. I have no hesitation to recommend her to my friends and have already done so. Thank you Hilda for being you and helping us to settle down here. I had the first hand experience of working with Hilda as her colleague. She has been a mentor and a friend to me, always willing to help with no ulterior motive. Hilda is very capable, efficient, goal oriented and multitasking sales person who has in depth knowledge of Real Estate market and understands exactly how the market works. She constantly upgrades and keeps herself well informed in the field of Real Estate. Hilda has a systematic approach when dealing with the clients; first of all she queries her clients well to find out their needs and then gives them an in depth analysis of their limits and where they stand, and how exactly she can help them. Hilda only proceeds to do business with you after she is convinced that both are on the same page. She is an excellent communicator and is very good at preparing the offers and has excellent negotiation skills. Hilda is a “No-Nonsense” business woman; she will not promise you the world for the sake of business and she is not afraid to tell the clients if they can not afford a particular piece of Real Estate! Before we relocated from Alberta to Toronto we were having difficulty finding a Realtor in Toronto that would help us from such a long distance. Six weeks before our moving date, a friend of a friend recommended Hilda. In such a short space of time and at such a long distance, not only did Hilda manage to procure for us the temporary accommodation we needed so that we could further examine the Toronto housing market, but once we had settled in a bit she also went on to help us find a terrific permanent place to stay in a great location. I've known Hilda for over 7 years now and have personally purchased 4 properties and have referred her to many of my friends based on my experience which are quite positive. 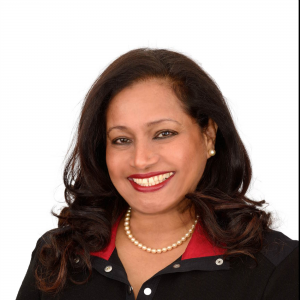 Hilda is tenacious and often goes the extra mile to not only get her clients the best out there, but also to ensure utmost client satisfaction that simply makes her clients look no further, when they are ready for another home whether it be an investment, Business space or an upgrade. Hilda is personable, fun, and easy to work with but never losing sight of the task/.responsibility at hand. I've relied on her advice, expertise, and market knowledge, and she has never failed. She delivers beyond our expectations. Hilda: I wish to thank you for all that you have done and looking forward to many more years of this professional, and satisfying relationship." Our experience with Hilda has been amazing!! She has been our landlord, realtor and friend. As landlord, she makes us feel like home with her warmest and personal attention, always there to respond any inquiries we have, she never hesitated to resolve any concern and has always been treating us like her friend; she is very friendly!!! Hilda is a subject matter expert in her field, has excellent negotiation and interpersonal skills. She gets us the best deal we can have according to our budget to buy our first home in Canada. She is very flexible, approachable and goes above and beyond to get the best out there and to ensure client satisfaction. We would highly recommend Hilda to all our friends and family and since she is in our family, she’s already part of the process for our next home whenever we decide in future. Hilda is our friend and our dedicated realtor for life!!! My husband and I bought our first home through Hilda though we knew quite a few Realtors around only because we were sure of her Integrity, Sincerity and Humility. The entire experience was a wonderful. Hilda went out of her way to understand all our requirements. Hilda showed Patience, Empathy at all times made suggestions and answered our questions till we were fully satisfied and this helped us arrive closer to our decision. Hilda is very knowledgeable in her field, patient and thorough in answering our endless questions, helpful with suggestions and providing us with things to consider as we were in the process of buying our first home in Canada. Hilda was very quick to respond to any inquiries or concerns and she has excellent follow up and follow-through skills! She never hesitated to resolve any issues and was very flexible, approachable and was always available to meet our busy schedule. Our experience with Hilda was outstanding! Her service and attention to us was personal and immediate and we never felt rushed. She has always treated us like her friends and not like clients. She is very approachable and friendly. Hilda is very professional and has a very calm and reassuring personality. She is able to negotiate hard deals in the best interest of her clients and we would strongly recommend any buyer or seller to contact Hilda for exceptional service and commitment. You will be blessed with a friend for life – someone who goes that extra mile – someone who goes above and beyond!! In my own personal crisis, Hilda came forward with her resources to save the life of a young 29 year old boy struck with cancer, none other than my brother, whom she has not even met. Her humbleness and simplicity is beyond words. We would most certainly recommend her to family and friends and we ourselves would approach her for our next home whenever we decide in future…. With Hilda, you are just not a number but a person - a valued and respected human being. Home buying is not an easy task and don’t let anybody tell you otherwise, in the GTA it is not! After months of window shopping through virtual tours and showings, I had firsthand experience of the joys and disappointments, the exhilaration and the dejection that sometimes accompanies this journey. Our family were blessed we had Hilda- our ENROUTE, through it all. The one thing that bonded us to her was TRUST, this combined with her efficiency, vast knowledge, perseverance, and deep rooted faith was what made things easy for us. At times I wanted to give up as we were first time buyers and lacked the experience and financial resources like other players in the volatile GTA market, it was Hilda’s consistent support and encouragement that saw us emerge as winners and soon owners of a new home. Winston Churchill once said ‘’Success is walking from failure to failure with enthusiasm’’, we were successful only because we had Hilda. It was an absolute pleasure working with her and I would highly recommend her services to friends and family. I repeat: home buying is not an easy task but if you have Hilda, it will be a joy ride. Your attentiveness to the needs and want of a potential customer down to the smallest detail. This was evident in the type of homes you provided for me to visit that was available in the market and finding the house that I could call home for me and my family and in the ideal or preferred location I desired. The process of presenting a bid in a professional manner to achieve a fair price I needed to purchase the property in a timely manner was commendable. You continued by providing all the details in a step by step manner to conclude and finalize the purchase of this property. You went as far to provide names of capable and reasonable real estate lawyers in the area to take care of all the necessary transactions to complete the purchase. For me you are a fully experienced person that is an expert in your field and any one could rely and have confidence in working with you. In the future if I have to do this again I would not hesitate for one second to call upon you for your services and would most definitely recommend you to my family and friends that are in need of the best real estate agent I know. I have known Hilda for over 15 years. Hilda started Real Estate business in 2006 and I referred her to a few of my friends knowing the way she does business. The feedback I received from every one of them is so encouraging and satisfying that I am happy I did the right thing by recommending Hilda even though I know quite a few other Realtors. She is so down to earth and straight that it is hard to find someone like her in the Real Estate business. Hilda, not only kept the client’s interests uppermost in her mind at all time she also displayed remarkable patience in helping the clients to find a property suitable to their budget and taste. I will be very pleased to refer Hilda to all my other friends as I know they will be dealt with professionally and utmost care. Hilda was highly recommended to me by my brother who bought a house through her. After movingfrom US and being a first time buyer Hilda was there beside me all the time showing me various optionsof buying condos, townhouse, semi and detached. She worked with my budget and made sure I was comfortable. Her patience is outstanding and she did a wonderful job with her Negotiating skills and made the process of my purchase enjoyable and very comfortable. Before I could think of the right Lawyer and Mortgage Agent Hilda managed to get it done for me. She has abundance of Resources right from Home Inspectors, Contractors, Lawyers, Mortgage Brokers, Roofers, House cleaners, Movers, Packers and the list goes on. Hilda, was always prompt in returning my phone calls if I had questions or clarifications. When finalizing the deal we found Hilda to be an excellent Negotiator, extremely Professional and an agent with Integrity. Hilda was with us every step of the way and always looked out for our best interests. Hilda, like a professional explained in detail the process of buying an investment property and how it could benefit us in the long run, she knew exactly what we had in mind and keeping our budget in mind showed us just that, without wasting our time with the least inconvenience. My family has been extremely pleased with her knowledge, diligence, punctuality and attention to details – if a question was asked, the answer would follow immediately, she knew exactly what she was talking without mixing words. The deal when through so smooth which we thought would be nightmare, this was possible only because of Hilda. Hilda is passionate about what she does and is crystal clear. Her after-sales service is incredible. I can't tell you how much I appreciate all of the hard work and support I received from Hilda Ramchandani. Hilda is like family she has been involved in selling my first house and finding me my current house a “Real Gem” Hilda has also found homes for my Mother, Sister and close friends. I am grateful for her help, guidance and support. Hilda understood my needs and did not waste any time finding me what I was looking for; negotiating and getting me the best deal possible was her top goal. She is organized and experienced and will go out of her way to get the job done. Hilda is not just my realtor she is a friend and she is highly recommend to all my close friends and family. It is a pleasure knowing and working with Hilda Ramchandani. Keep up the great work Hilda! You are the best. In all transactions, Hilda was Organized, Thorough and Personable. She offered my husband Stephan and I an objective viewpoint on each house we were interested in, thereby helping us with our final decision. We found her to be knowledgeable about aspects of the real estate market that surpassed just the legalities of buying and selling properties and needless to say that all negotiating was handled with candour and respect. Hilda was always expedient in returning our calls, searching the properties and showed amazing patience through the entire process. Hilda met and exceeded our expectations on every level and most importantly the number one reason for choosing Hilda as our Realtor was her “Integrity”. We would highly recommend Hilda to all our friends and family and will use her in the future.